OPINION: Of all the things for which Meghan, Duchess of Sussex has copped it, the outrage over her decision to not make her face and body available for judgement on a global scale within hours of giving birth would have to be the maddest. At a time when, according to Harper's Bazaar, "average" mothers are feeling so pressured to pass Instagram muster postpartum that they are spending on spray tans, hair styling and blowouts, and even manicures for the labour ward, Meghan is the rebel we need. Meghan has chosen not to play the maternity sideshow game at all. Shortly before the Sussexes thanked the public for the goodwill, but announced they would not be engaging in the hospital-steps spectacle that has made royal women into the maternal equivalent of performing seals since Princess Ann started it in 1977, late last week Harper's reported on a study that found almost two thirds (64 per cent) of new mothers put makeup on within two hours of delivery. The labour ward and the earliest hours of motherhood may be the one space left where women should expect to feel free to look as wildly natural as they like; to learn that even this intensely personal moment is being encroached upon by the pressure to adhere to contemporary beauty standards is terribly deflating. 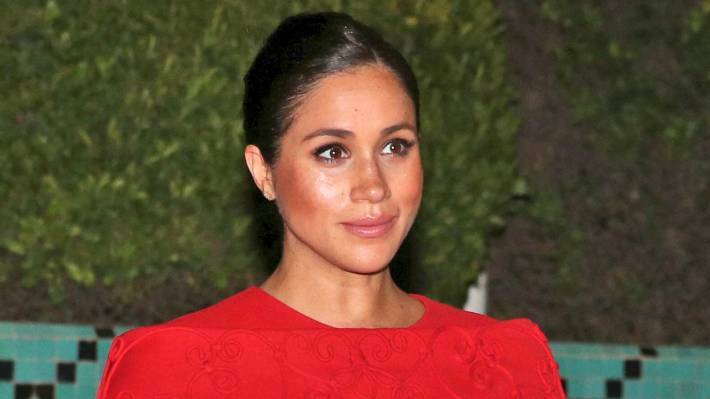 This point was made late in March in a full page "open letter" to Meghan placed in the New York Times by mother-of-three Chelsea Hirschhorn, founder of the mother-and-baby equipment brand, Fridababy. ﻿Meghan's decision to save something of herself for herself during what for many women is one of life's great, transformative moments has been all the more harshly received due to the Duchess of Cambridge's habit of complying 100 hundred per cent with the expectations of the public. Kate was hassled for looking 'too good' after giving birth to Prince Louis. While it is not protocol for princesses to do the quick-turnaround birth and photo-opp routine, she has been a master of the art. With each birth, she has shrunk the time it takes for her to deliver a baby and then appear, glamorous as a swan with the infant. Even that has not shielded the mother-of-three from the nastiness that accompanies any discussion of women's appearance standards in the social media age. Kate was savaged last year for setting the bar too high.